In 2017, there were 557 traffic-related deaths, according to information from the Maryland Department of Transportation. That's up 7 percent over the previous year. The number of deaths has been on the rise since 2014. WASHINGTON — The number of people dying on the Maryland’s roads has increased — again. In 2017, there were 557 traffic-related deaths, according to information from the Maryland Department of Transportation. That’s up 7 percent over the previous year. The number of deaths on Maryland’s roads and highways has been ticking upward since 2014, said Maryland Transportation Secretary Pete Rahn. “The frustrating part is that we know how to avoid this” Rahn said. “Driver behavior can avoid nearly every crash” he said. Nearly one third of the fatal crashes in the state are tied to impaired driving, according to statistics released at the summit. Col. Jerry Jones, chief of the Maryland Transportation Authority Police, said the factors included in roadway fatalities include impaired driving, speeding, distracted driving, not using crosswalks and not wearing seat belts. 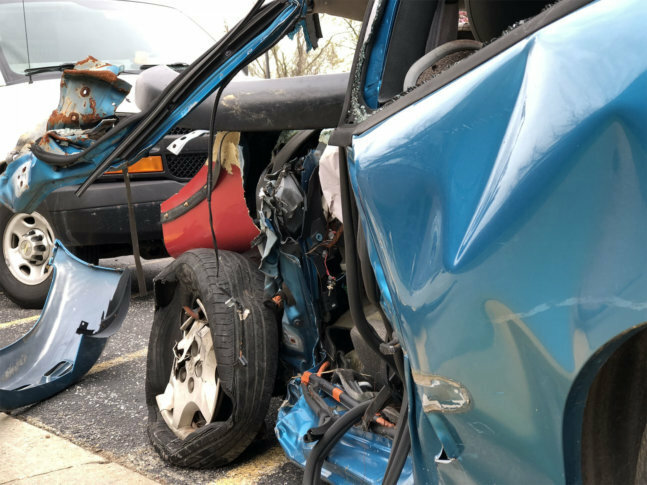 Dr. David Fowler, the Maryland state medical examiner said it’s important to understand that a crash is more than just an obstacle in the roadway. It’s a profoundly violent incident. “A motor vehicle death has some of the most extensive injuries that medical examiners ever see. You get injuries that are just indescribable,” Fowler said. In particular, Fowler urged drivers — and passengers — to use seat belts every time they get into a car, in every seat they occupy. He said as a back-seat occupant, in a taxi or an Uber, he makes sure to use a seat belt. Jones told reporters that throughout the year, police agencies across the state emphasize safety, whether it’s increased enforcement on speeding or impaired driving, or encouraging drivers — and their passengers — to wear seat belts. Starting May 21, police will increase seat-belt enforcement with the “Click It or Ticket” campaign.” Buckling up every seat, every time is your best defense in a crash, he said. Most drivers only buckle up 94 percent of the time, Jones said. The number is lower among back-seat occupants. “Only 84 percent of us buckle up” when in the back seat of vehicles, Jones said.